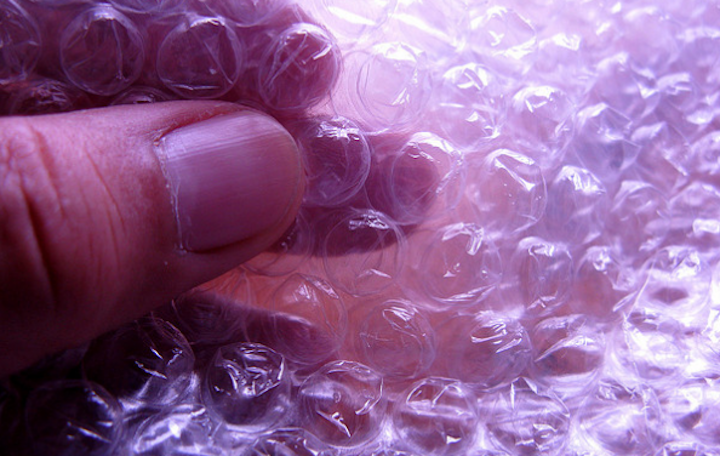 We’ve all been there: You receive a fragile packaged carefully wrapped in Bubble Wrap that’s just begging for you to start pinching the plastic between your fingers to create that joyous popping sound. The days of that sweet sound may be over as the biggest company in the Bubble Wrap game is revamping its signature product by removing its popping possibility. The Charlotte Observer reports that North Carolina-based Sealed Air, maker of the iconic packing material, has created a new version called iBubble Wrap that loses its popping quality. The new product is sold to companies in flat plastic sheets and then filled with special pumps. The company says iBubble Wrap – before inflated – uses about one-fiftieth as much space as traditional Bubble Wrap. While the new wrap costs less than traditional Bubble Wrap, the custom pumps used to fill the material cost about $5,500. Because the new version of the packaging material is laid out in connected air pockets, the filling migrates to other areas and doesn’t have the ability to pop. Sealed Air says the new material is intended to cater to online retailers looking for less bulky ways to ship products all over the world, the Observer reports.